How many stars do you see? Can you lead the rocket back to Earth? 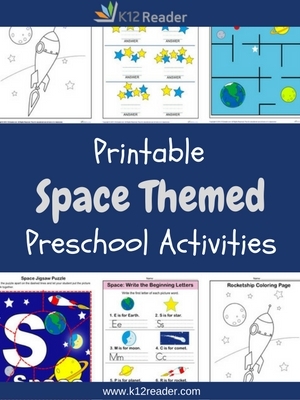 Find out with these helpful, fun Space Preschool Theme Activities. Students will be asked to count the objects, write uppercase and lowercase letters of the alphabet, and color. What a fun way to prepare for Kindergarten as you learn about Outer Space! This is a wonderful resource to use either at home or in the classroom.